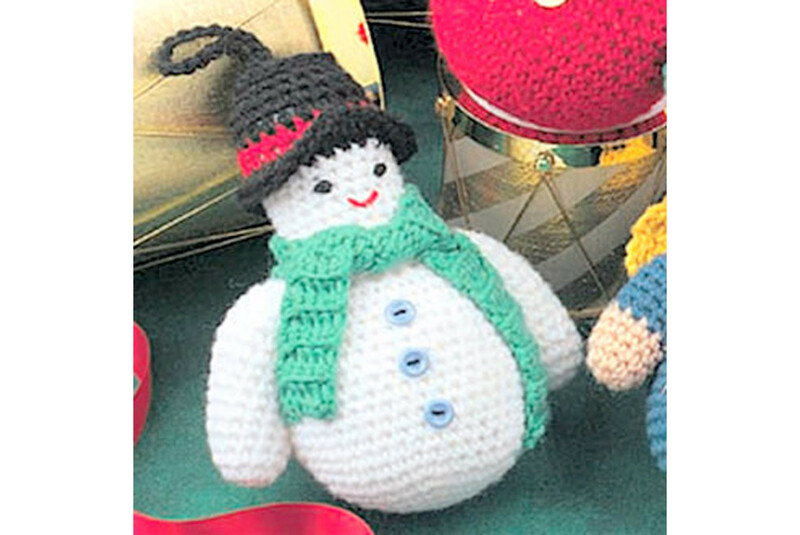 This article features the BEST free amigurumi snowman patterns available on the internet. It's a cheerful and cute collection of one of the staples of winter (and Christmas!) decoration. Fun to make for yourself, your children or as original handmade Christmas presents or stocking stuffers. 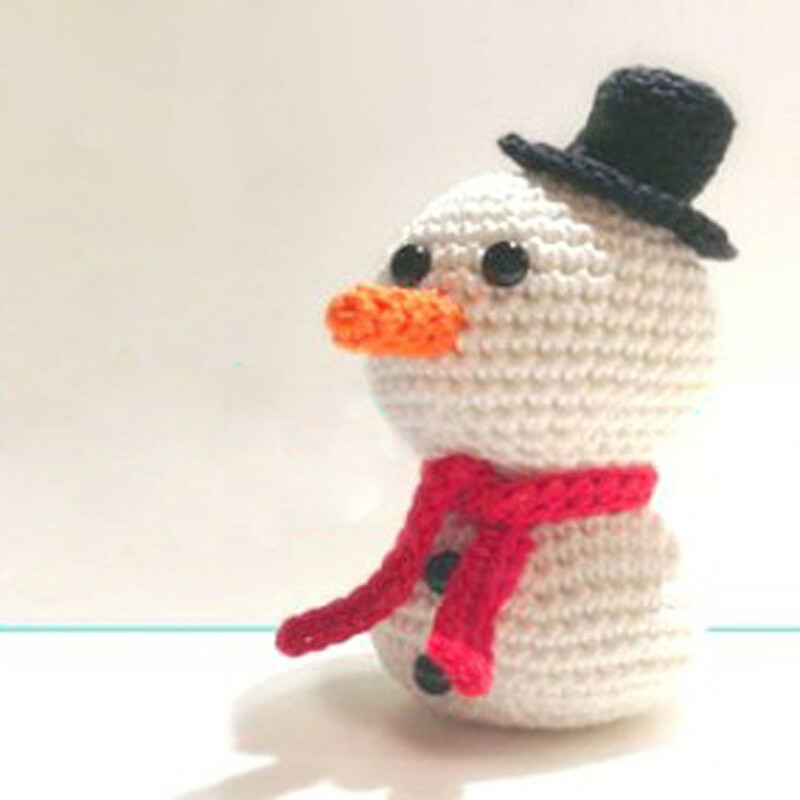 This cute snowman can't wait for winter to go out and play with his little sleigh! He's all ready to go with his cute earflap hat and matching little scarf. I just adore his large head and little face. He'll be a cuddly companion on those long winter nights. He's the perfect addition to your Christmas decor or as a handmade special Christmas present. The pattern is in German, but is fairly easy to understand using Google Translate. The pattern contains lots of photos for extra clearity. There are links to the free (German) patterns for the scarf and hat (with the earflaps). He's cute, sweet and full of little details! He's the perfect snowball Christmas ornament for your Christmas tree or anywhere else in your home! Give him away as a stocking stuffer, wine bottle charm or special gift tag. He'll be happy wherever he end up and will spread Christmas cheer to all! The pattern is easy, clear and works up really quickly. Make one for all your friend or use them all to decorate a spectacular snowman Christmas tree! Don't forget the little holly berries and stitching details on his hat! He's cute and not too big to hang in your Christmas tree! The possibilities with this little fellow are endless! 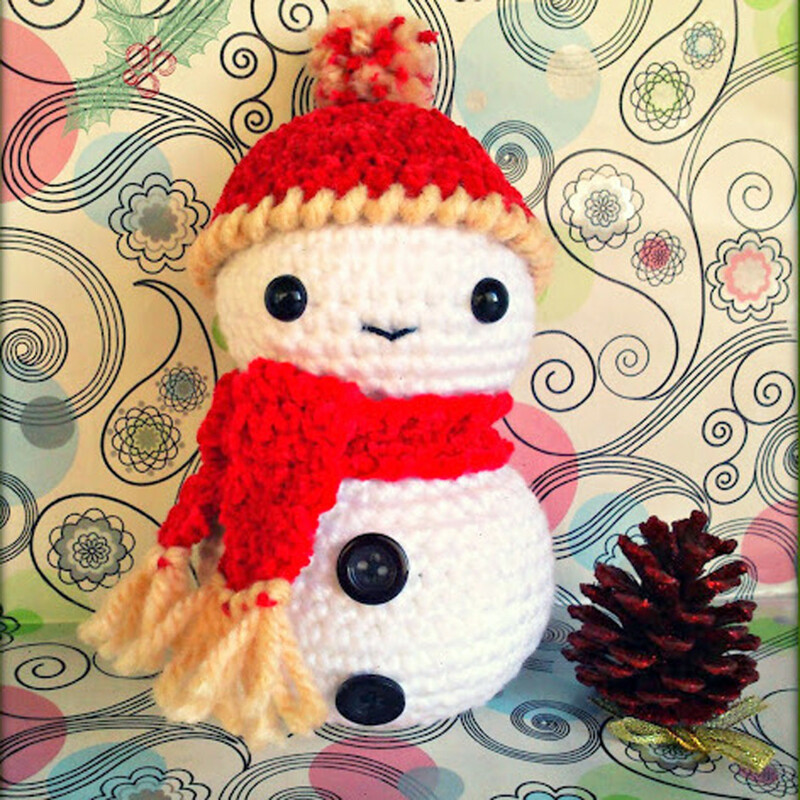 Make him into a snowman ornament for your Christmas tree or to hang anywhere! You could use him as a wine bottle "charm", as special place settings for Christmas dinner, a sweet little hostess gift or stocking stuffer! Choose the colors for someones favorite sports team or school for the little scarf to make a wonderful personalized little gift! The pattern is simple, clear and works up quickly. 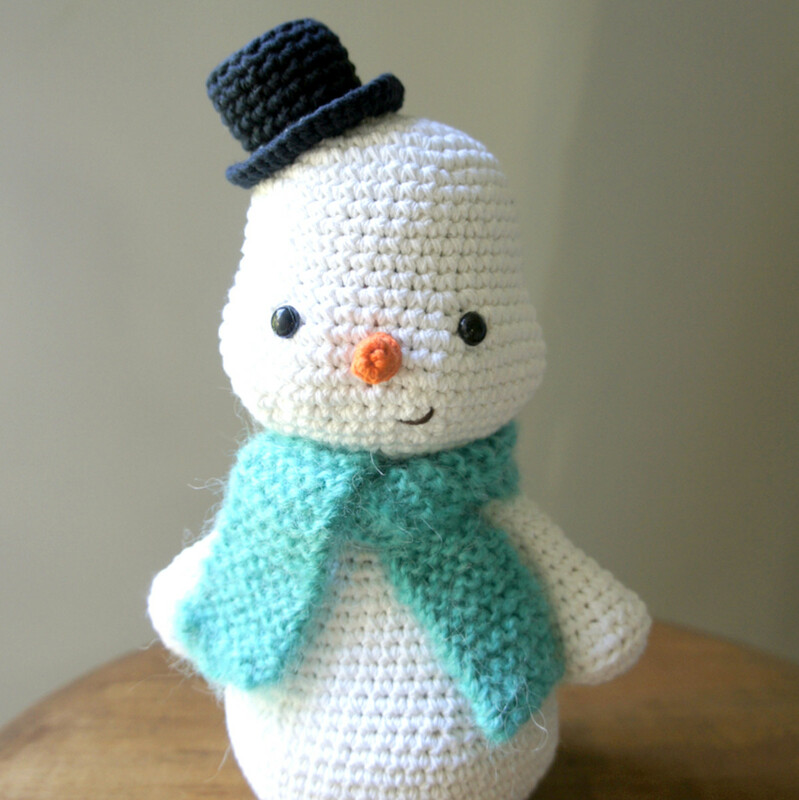 This little snowman has very cute cheeks! I love that he doesn't have the "standard" round head. He clearly has a personality of his own! And he's very hip with his little top hat and warm knit scarf. But the absolute cutest part of him is his itty bitty little carrot nose! The pattern is in Spanish, but can be easily navigated using Google Translate. Especially for more experienced crocheters this shouldn't have to be a problem. There is a clear stitch count at the end of each round, helping you to stay on track. This pattern is too cute to pass up! This cute little snowman is multifunctional. By himself he already is pretty awesome, but he can also be added to a spectacular winter Christmas wreath (see further along in this article) for your door! With his little eyes, buttons and nose, he's just too cute to not make for yourself or a loved one. Imagine the joy of finding him in your Christmas stocking or as a present under the Christmas tree! The pattern is clear and has photos for extra instruction. Depending on what you want to use this little snowman for you could use Poly Pellets to weigh down the bottom. This way it will be able to stand upright by itself. The pattern includes instructions on how to do this safely. Add a pointsettia or snowflake button as a cute finishing touch! 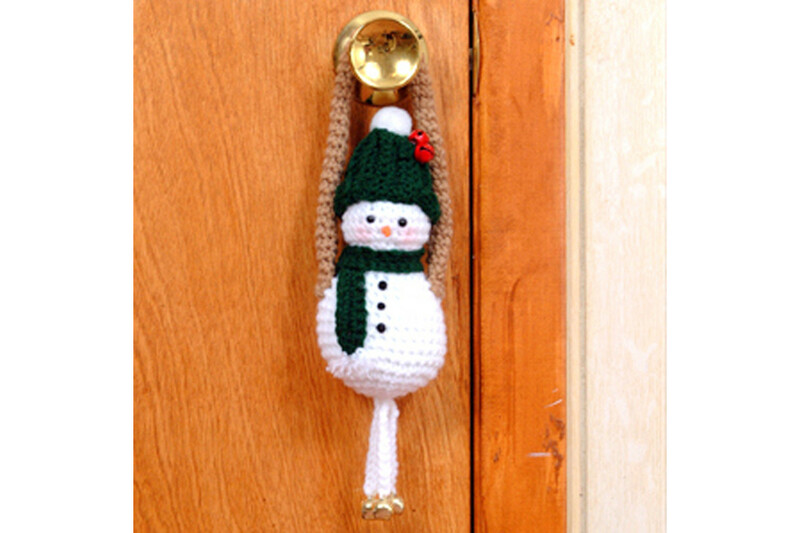 What a cute and simple effect does this snowman door greeter have! He'll greet you and your guests with warm winter wishes and his little bells will jingle cheerfully every time you use the door. Who could resist his charm? In addition to sprucing up your holiday decor he'll be a great hostess gift or stocking stuffer! The pattern is clear and simple and works up quickly. Instructions are also included for the hat, fringed scarf, bell hanger and assembly. Meet Frosty the snowman! He's big and sturdy and fun! He's a great addition to your winter decorations and makes an awesome Christmas present for some lucky recipient! With all the added accessories there is enough room to really personalize his appearance. The pattern is clear and easy. The finished snowman stand approximately 16 inches tall (without the hat). 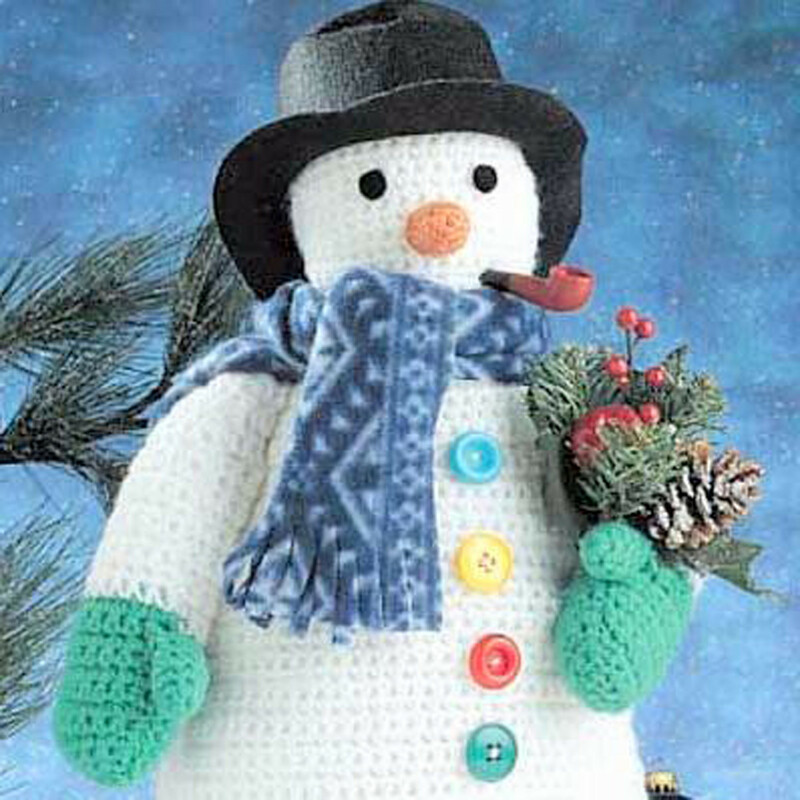 Make sure to add fun accessories like the buttons, the pipe and the little bundle of pine cones he's holding. This happy little fellow is a cuddly toy and Christmas ornament in one! His plump round little body will make you want to snuggle him through all those long winter nights. And he'll also look great in your Christmas tree or anywhere else in your holiday decor! He's easy to make, so why wait? The pattern is clear, simple and works up fast. It is a great project for beginners. 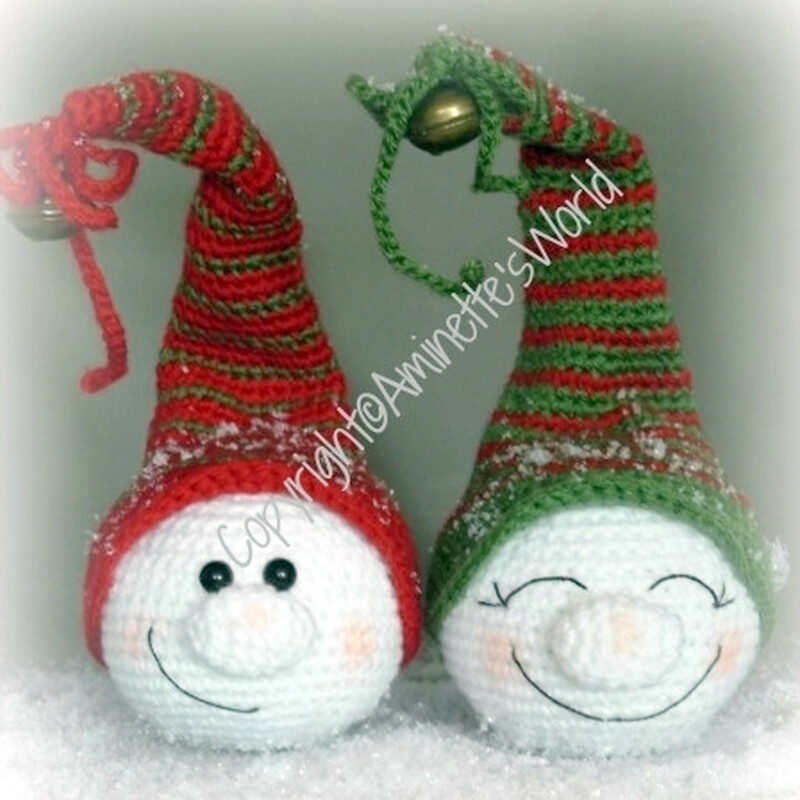 The pattern also includes instructions for two other very cute Roly-Poly Christmas characters: Santa and an angel! Make all of them to cuddle this Christmas! Will you be his snuggle buddy this Christmas? 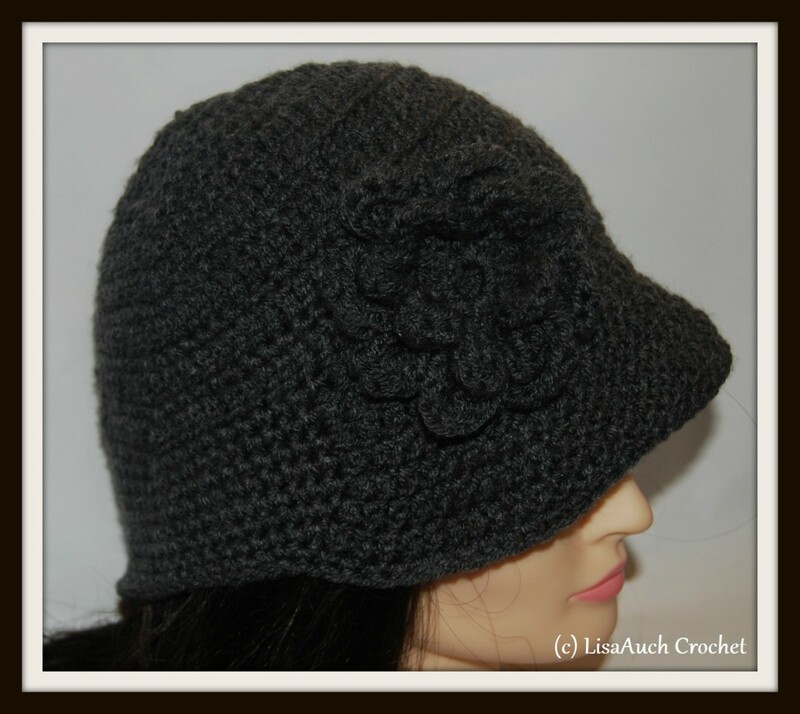 The pattern can be downloaded for free after free registration on the Lionbrand website. It is clear, simple and works up quickly. 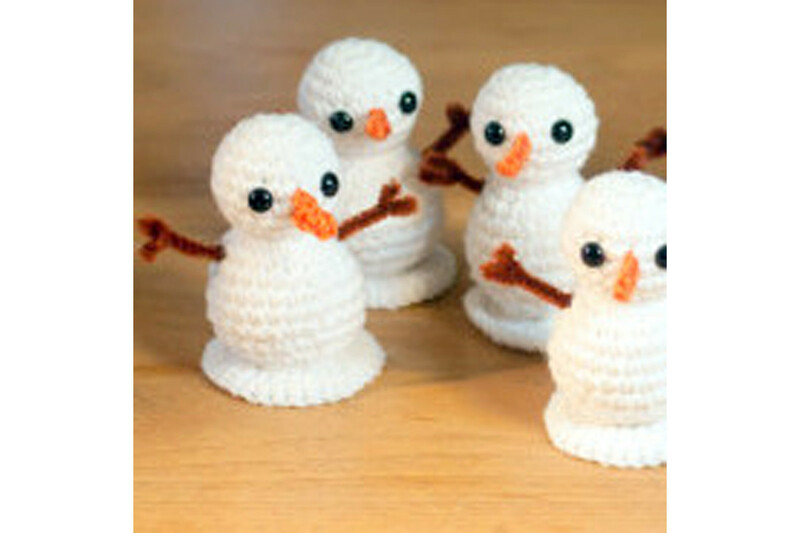 Make yourself an army of cute little snowmen this Christmas! These cute little fellows are ready for Christmas! They will add their cheeky smiles to your Christmas tree or anywhere you put them. They are perfectly suited to be used as a Christmas ornament, Christmas tree bauble, stocking stuffer or as a special handmade Christmas present. The pattern is in Dutch and will be sent to you as a .pdf upon email request. This could be a challenge for beginners, but if you really like these little snow pixies why not give it a try anyway? 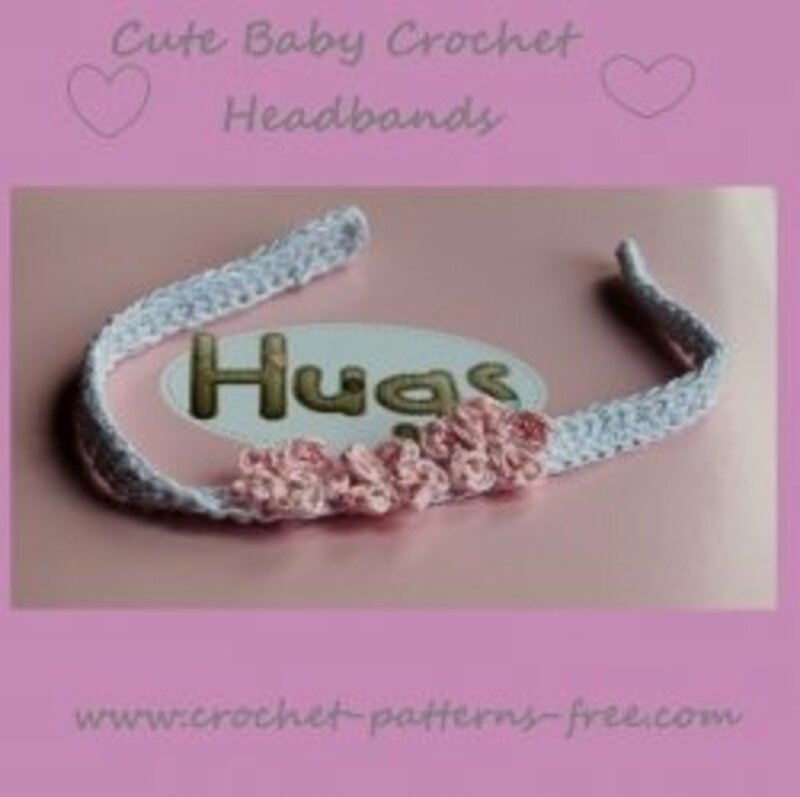 The designer has a couple of other free patterns that are definitely worth checking out. So go for it! 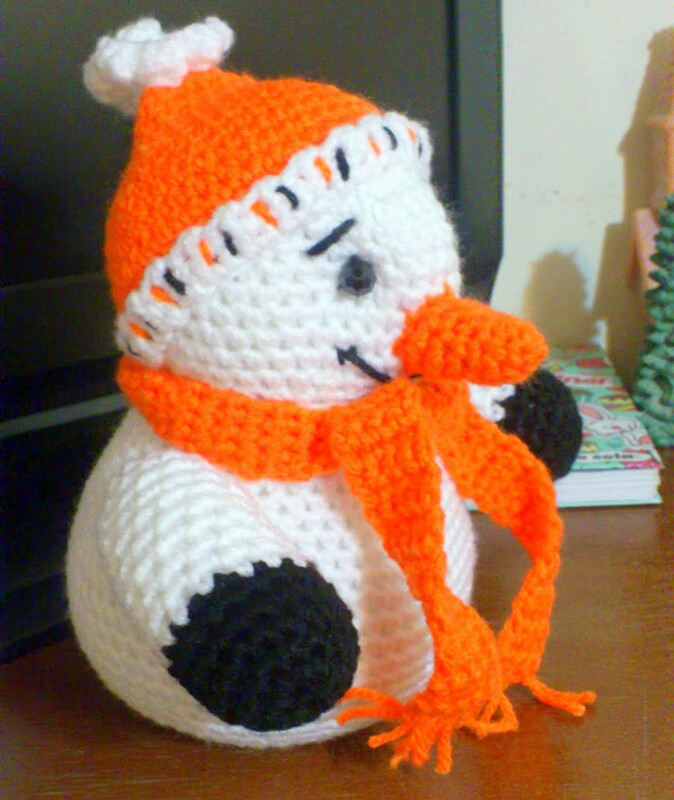 This cute little snowman is dressed in orange! That really complements his orange carrot nose well! He's an adorable addition to your Christmas and winter decor. Who wouldn't smile every time they see this little face? Ofcourse if orange isn't your color feel free to change it to whatever color makes you happy! Or if you're making this as a lovely handmade Christmas present or stocking stuffer make it in your recipients favorite colors or school colors or sports team colors! The pattern is in Spanish, so hit that Google Translate button! It's not a very complicated pattern, so get started! This little fellow is ready to play in the snow! And also to snuggle with you on those long winter nights. What a little cute face! And the little hat with the lovely edge (reverse single stitch/crab stitch) is a great little detail. 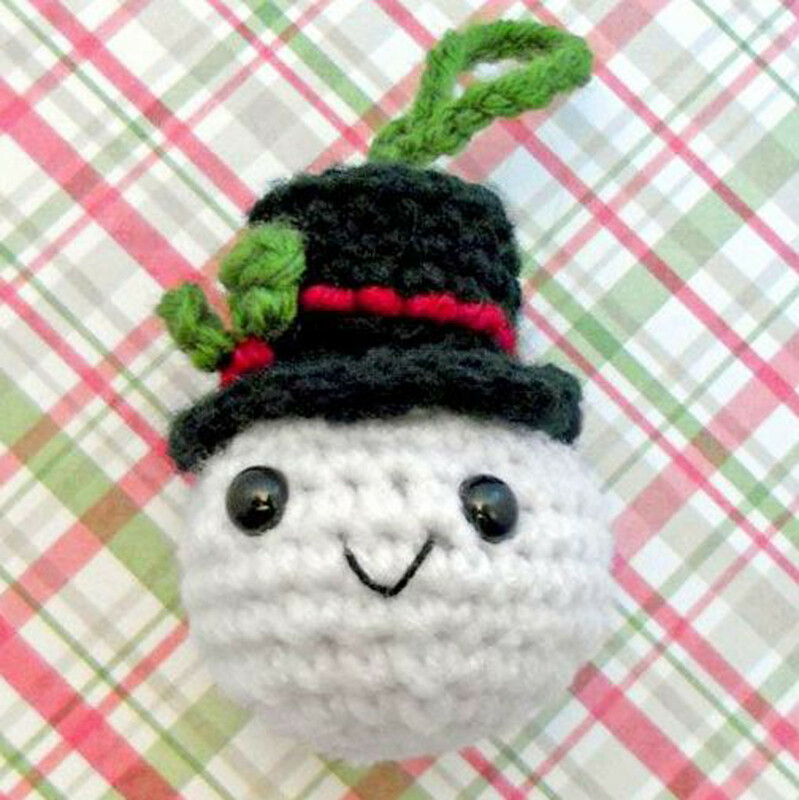 Ofcourse I'm a sucker for a nice pompom, so I'm in snowman heaven with this little guy! The pattern is easy, works up quickly and is in Spanish. Make sure you add those cute little details that make this pattern really stand out: the edge of the hat, the little ruffles on the scarf and the buttons on his belly! These little snowmen look very happy. Their hats, scarfs and mittens are such fun and bright colors, you can't help but smile when you see them! The pompoms on their hat are just perfect, as are their little carrot noses! You can add little finishing touches to personalize their look, like the little colored buttons on their body, or adding a snowflake button to the bobble hat. The pattern is in Russian, so hit that Google Translate button! It's a bit of a challenge to follow the translated instructions, but there is a clear stitch count, so it shouldn't have to be too difficult for more experienced crocheters. 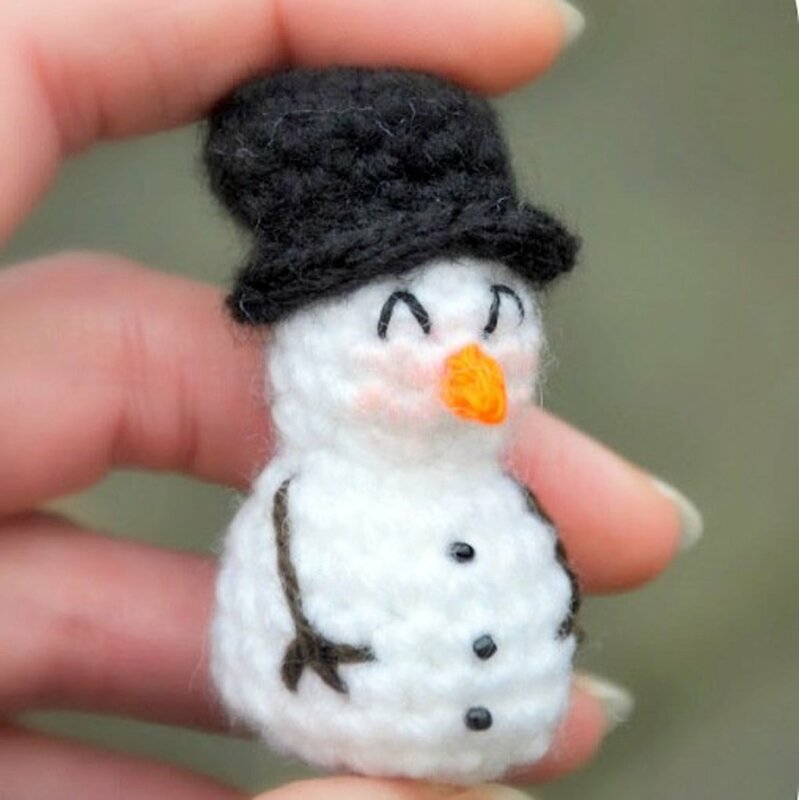 This little mini snowman is very cute! And he's always happy to see you! You can make him as an ornament for your Christmas tree, as a place setting, gift tag or wine bottle charm. There are three different versions of him (with different cute hats and scarfs!). So check out the website to get inspired! The pattern is in Dutch, but with Google Translation that will not be much of a problem! 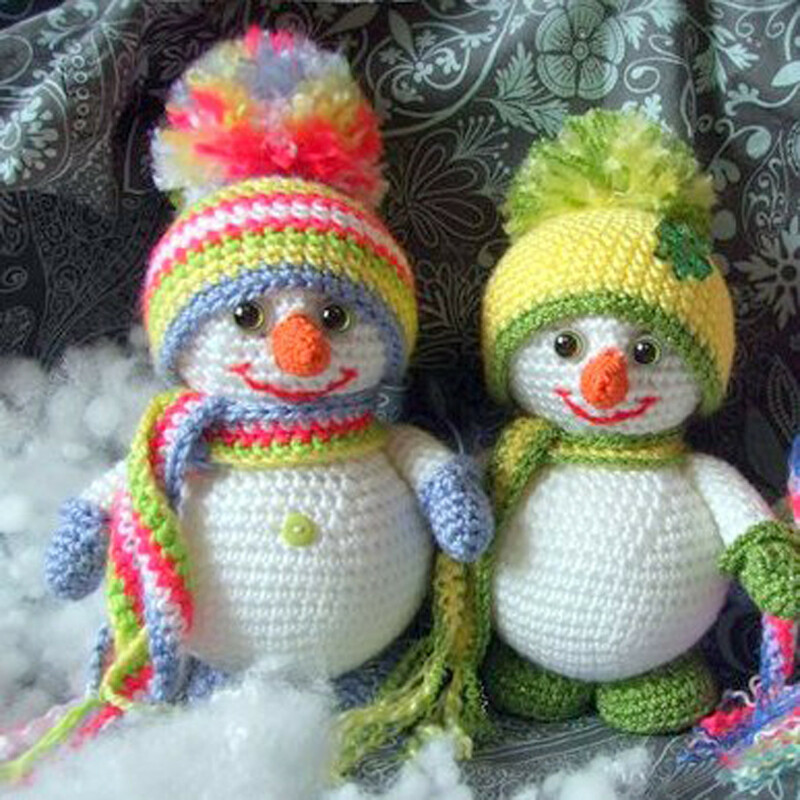 The pattern includes instructions for three different kinds of snowmen: one with a top hat, one with a Santa hat and one with earmuffs. All of them are very cute and work up quickly, so fill your Christmas tree with miniature snowmen this year! Look at the little pink blushes on their cheeks! These little snowmen love to play outside in the winter snow! Wrapped up warmly in their scarves they have a great time! Both sizes are very cute and are made with a different gauge of yarn. You can make them as big as you want! The pattern is simple and works up very quickly. 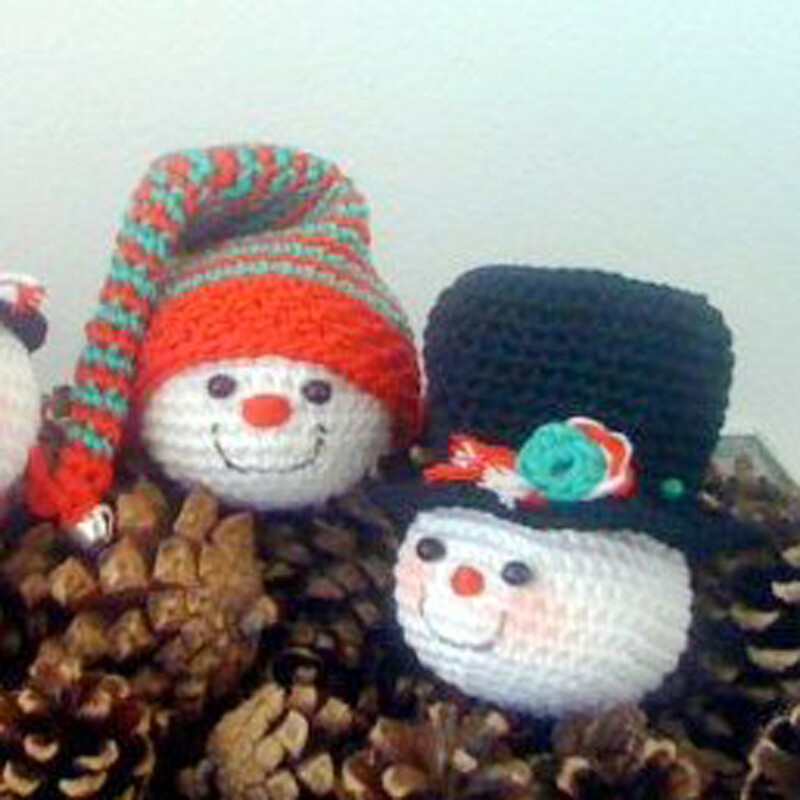 Before you know it you have crocheted yourself a whole snowman family! Give them all different colored hats or scarfs or make them in different sizes (using using different yarn gauges). Or make them all identical and use them as place settings! This little cutie is reaching out his twiggy arms to you! He's melting a bit but that doesn't mean he doesn't want to give you warm snowman cuddles. He is cute, very easy to make and works up quickly. You can use him for place settings, as part of a winter wonderland display or just as a cute little Christmas friend! The pattern is easy and fast to make. This project is very suitable for beginners. Make one for everybody you know as a little stocking stuffer or cute handmade Christmas present! 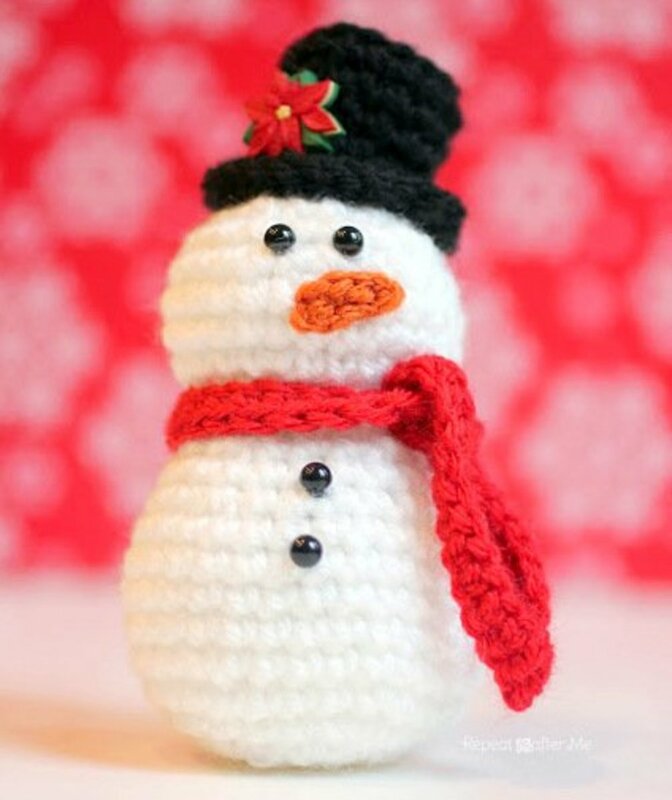 This cute little crochet snowman would make a perfect appliqué on a winter hat but also a wonderful ornament, magnet, or pin. The appliqué measures approximately 3 by 2 inches. The body is crocheted in one piece, but you will still need to sew on the other elements. Another great pattern from Repeat Crafter Me! More experienced crocheters will not have a problem with this simple pattern. 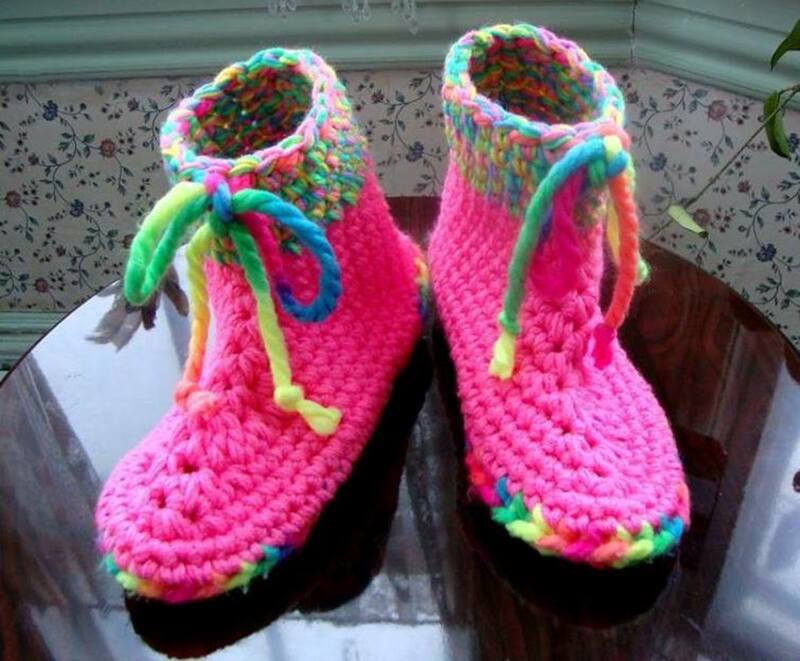 It works up really quickly so make them with scarf and ear muffs in all the colors of the rainbow! 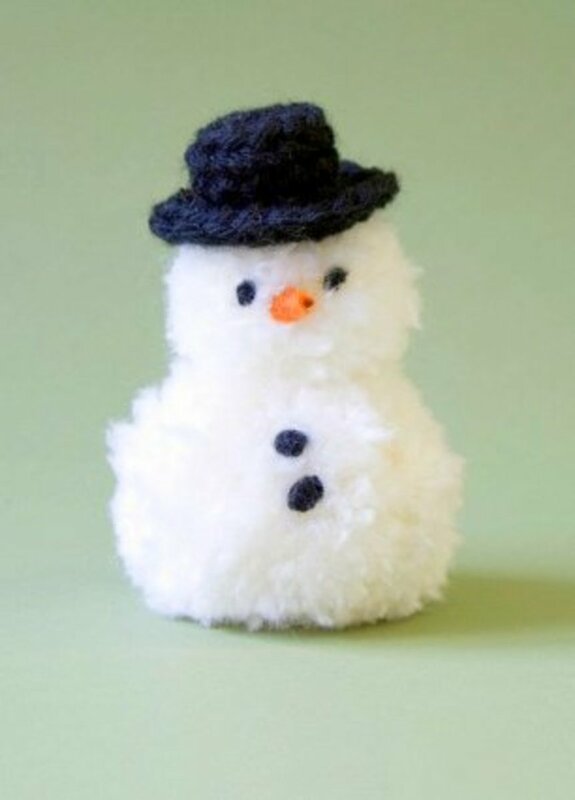 These cute little snowmen are fun and easy to make. They are the perfect addition to your home this holiday season! Make as many as you need for your family or for the family you are making them for. Use everybody's favorite color for the little scarfs. Add grandparents, aunts and uncles and other beloved family members, the sky is the limit! The pattern for the different family members is easy, clear and works up fast! It is perfect for beginners! Need more instructions? Follow along with the following YouTube video! 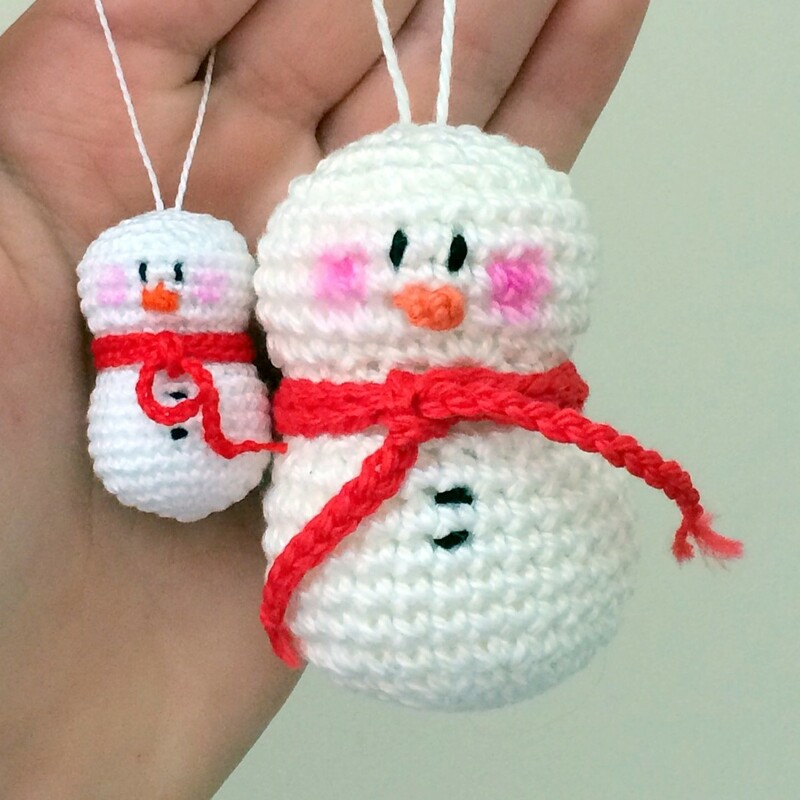 These happy little snowman ornaments will look fabulous in your Christmas tree! Or hang them anywhere you want! The details are really lovely: the hats with ornaments and their little faces. It's a lovely design that you can also make as Christmas gifts and stocking stuffers! The pattern is very clear, with good instructions and photos. Multiple patterns for ornaments are described, including elfs, santas, gnomes and reindeer! So check out the website and fill your Christmas tree with your own creations! Make a little bit of a winter wonderland in your house! This lovely snowball (ánd snowman!) wreath is perfect for your door (or wall, or mantle)! The crisp colors and design will make this your instant favorite piece of decoration. And as a bonus you'll learn to crochet balls in all sizes! The pattern is very clear and has many instructional photos. 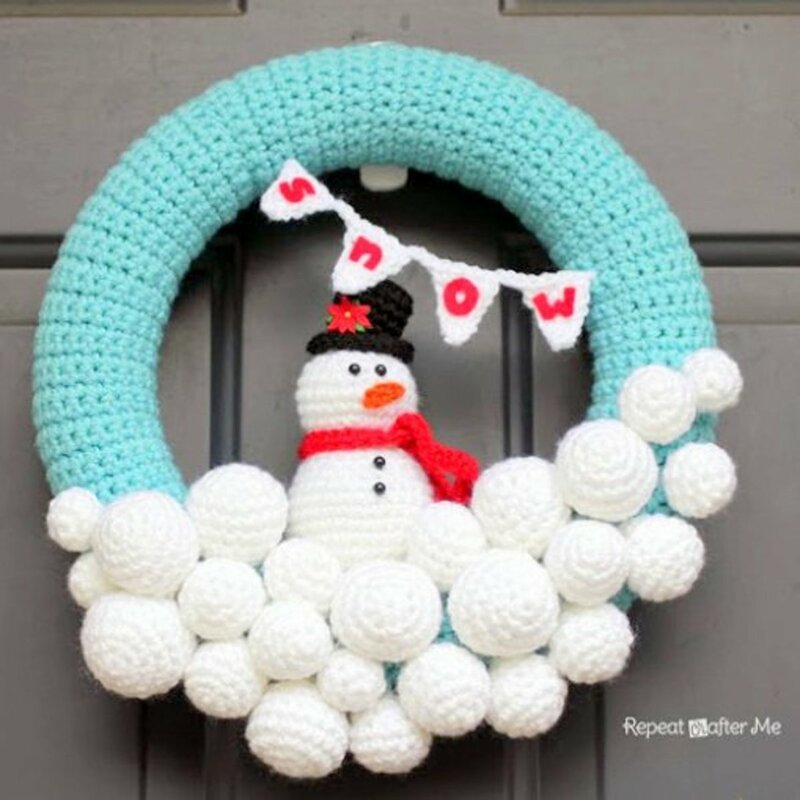 It contains instructions for the wreath itself, the different sizes snowballs, the little "snow" bunting and a link to the free pattern for the little snowman itself. I just love his little top hat and carrot nose. 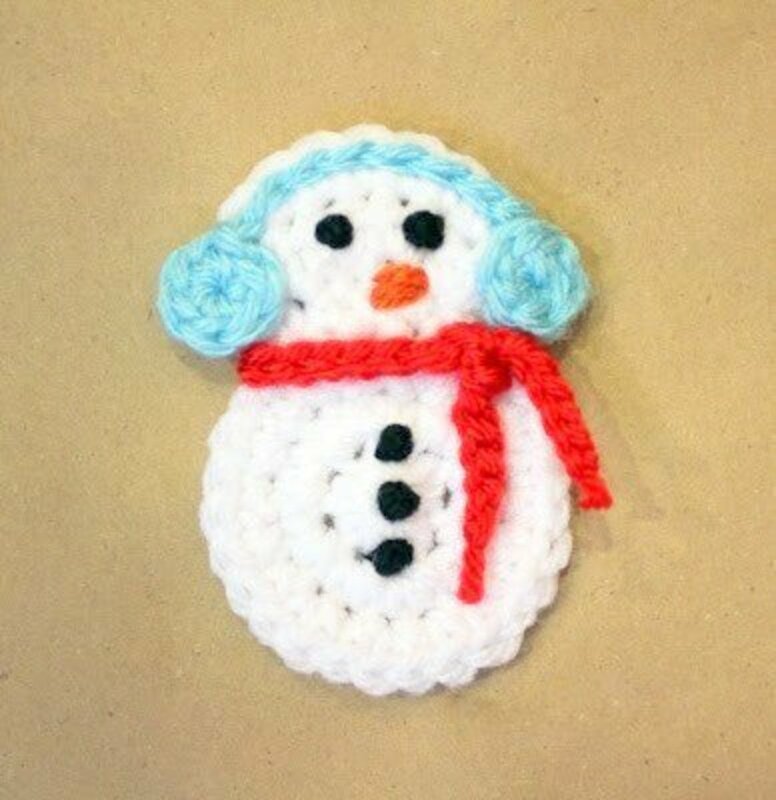 This little snowman is very cute indeed! He's the perfect addition to your Christmas decorations! 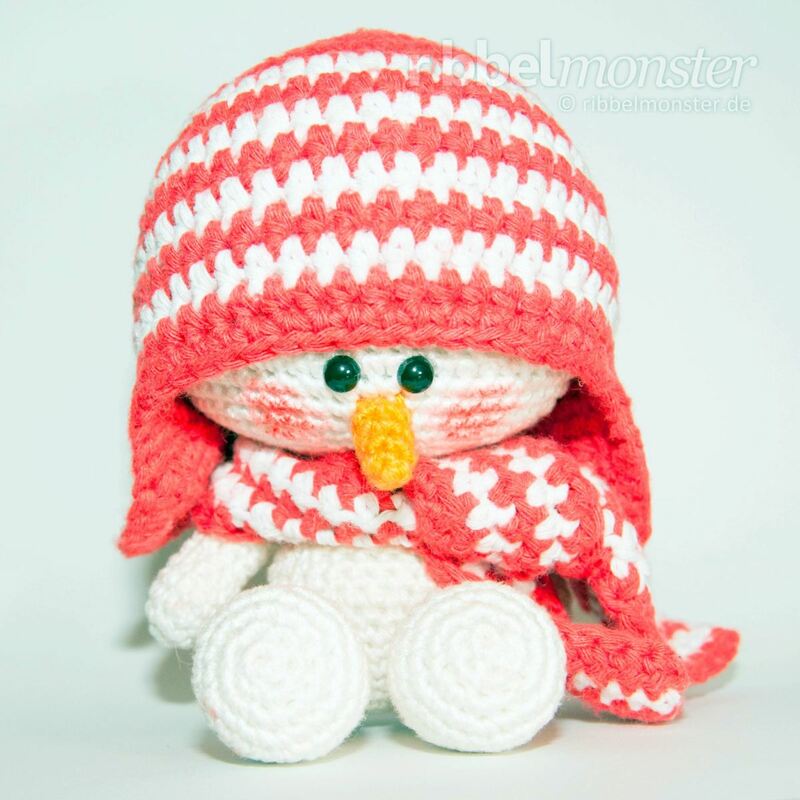 The pattern is made by a Dutch amigurumi designer, but is available for free in English! It is easy to follow and works up very quickly. 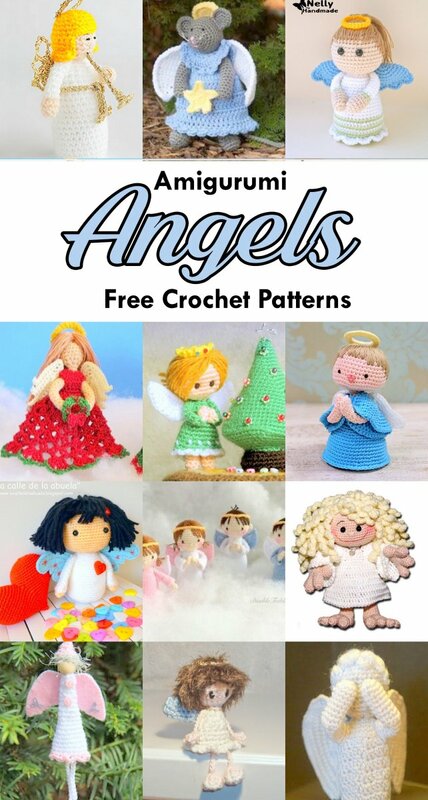 This great designer also has other free English Christmas patterns available as well as gorgeous paid patterns, so check out his website and treat yourself! This cute little guy has already found a cute little friend! 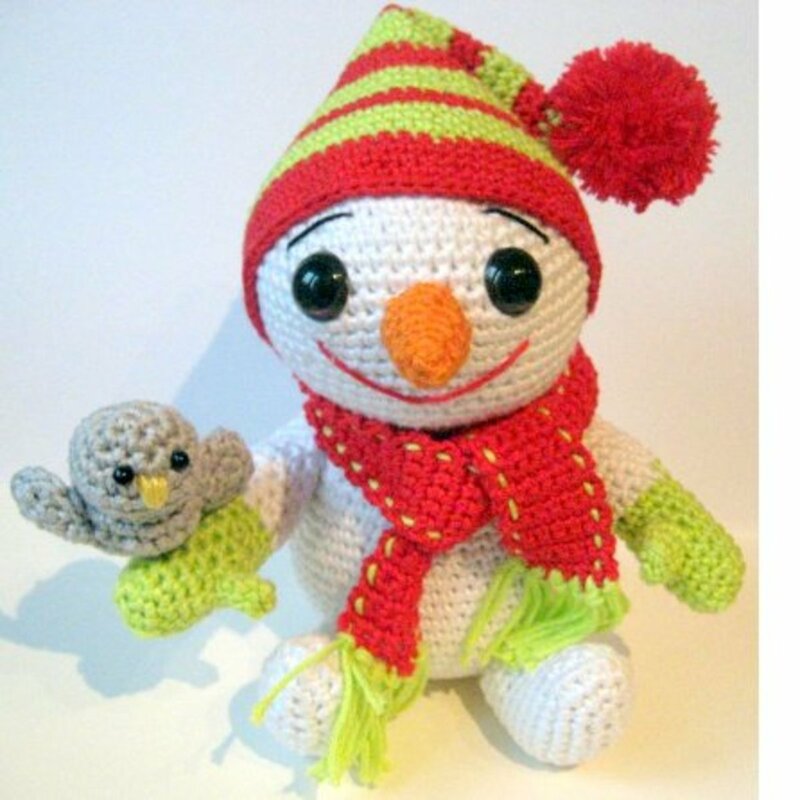 The snowman and his little bird would love to brighten up your home this winter with their cute smiles and little faces. There is a cute little story on the website about this snowman and his friends the bird and an old dog. 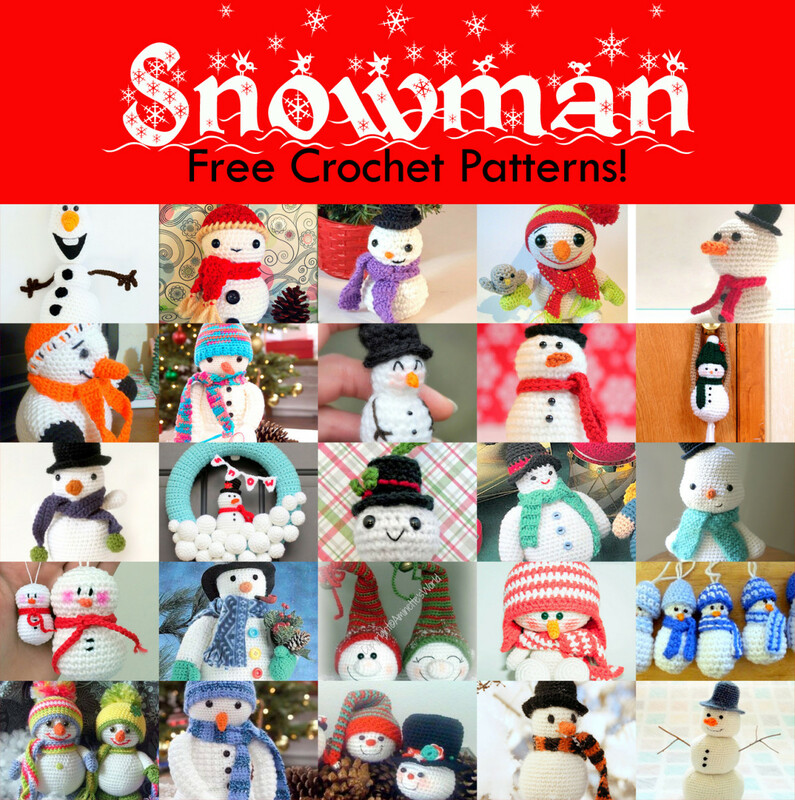 All three patterns (snowman, bird and dog) are available for free in English. The pattern is on a German language website. There is a link to the English version of the patterns of both the snowman and the little bird (ánd the old dog of the story! ), just scroll down the page! The patterns are easy to follow and works up fairly quickly. Choose your own colors for his hat, scarfs and mittens or stick with the bright green and red colors of the pattern itself. 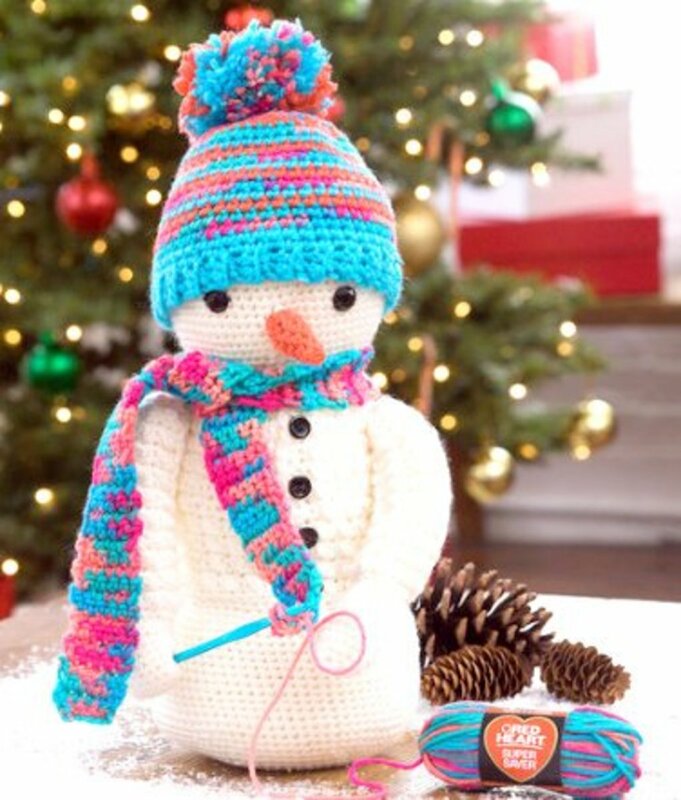 How cute is this little snowman! He's crocheting his own scarf! 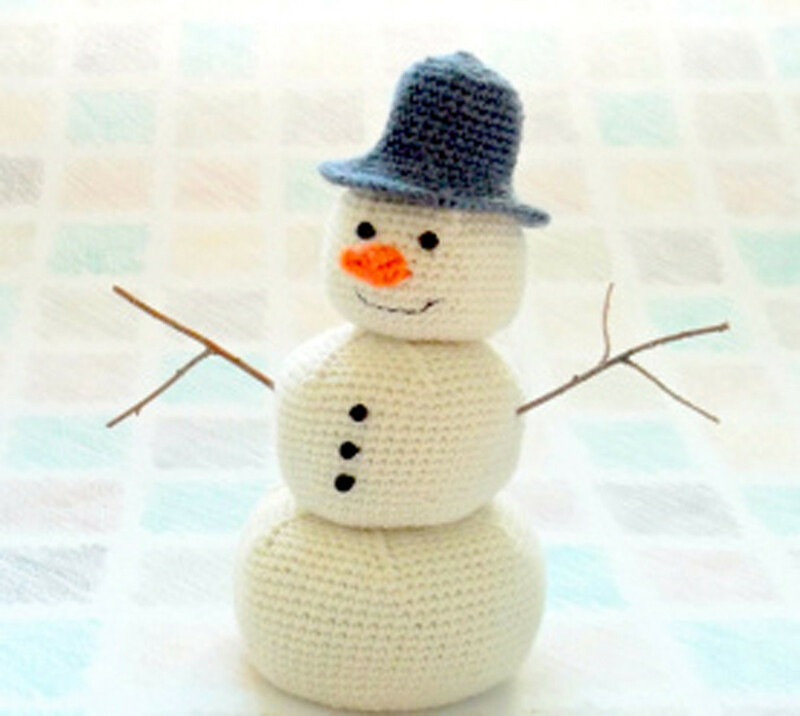 He's the perfect gift for your fellow crocheting fanatic (or for yourself!). It would make Christmas crafts a lot easier if all crafts would be able to make themselves like this one does. He's already wearing a textured cardigan and a fantastic little bobble hat that he made for himself! The pattern is clear and explains the necessary special techniques and stitches, such as the picot double crochet stitch that is used for the cardigan. Instructions are included for all the little details, like the pompoms, mini skein of yarn (with red heart label! ), hat and nose! 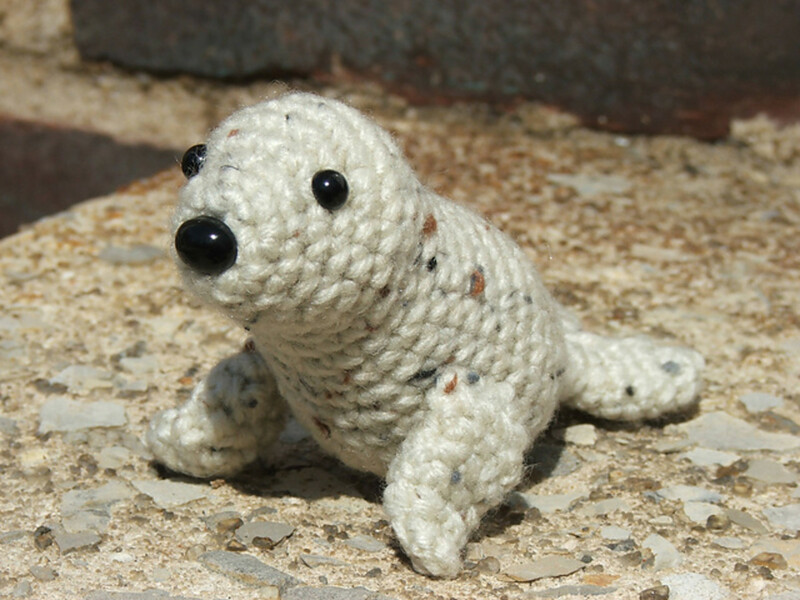 This charming little fellow is designed by an avid crocheter from Arizona. After all: in the desert snowmen made of yarn live a little longer than those made of snow... He'll be a happy addition to your Christmas and winter decor. The pattern is simple and clear, a great project for beginners! The snowman (including his hat) stands about six inches tall. The stacked snowballs are filled with dry beans, so he'll have no problem standing up by himself. No article about snowmen would be complete without the funny face of Olaf, the warm-hearted snowman from Disney's Frozen! 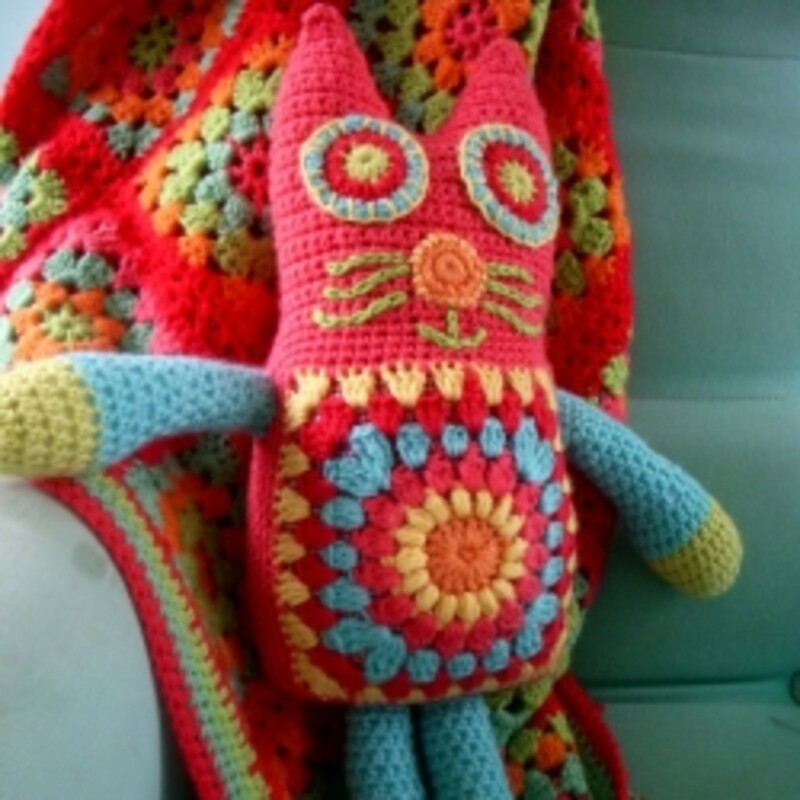 This is by far the best pattern of this great character that I could find on the web and it is ABSOLUTELY FREE! Do you wanna build a snowman? And give him plenty of warm hugs? Yes and yes! The pattern is very clear. The head can be a bit tricky to make, but hang in there - the result is stunning! 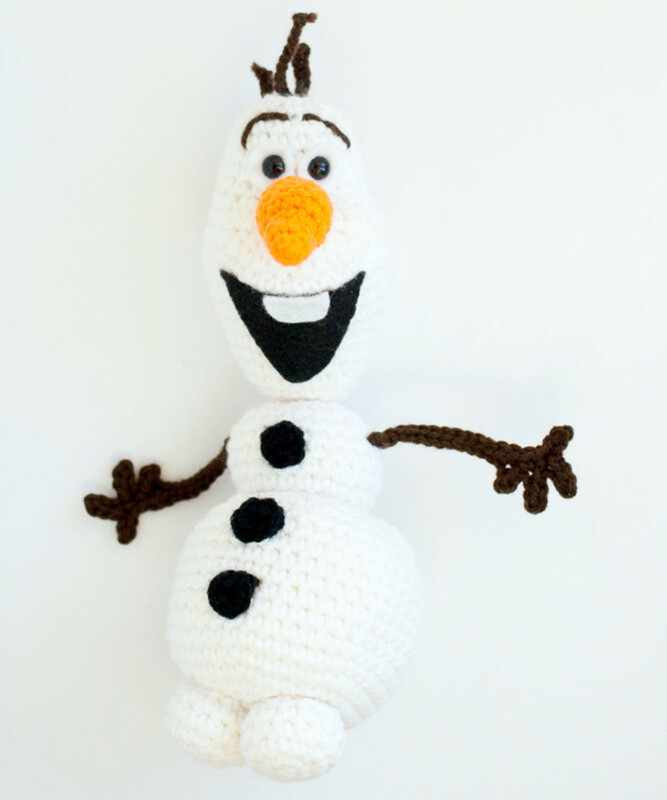 Please be advised that Olaf is a trademarked character and so only make him for personal use (or as an awesome gift ofcourse!). Don't sell the finished product (or the pattern). I love these patterns. They are the cutest collection of snowmen I have seen. I like the way you lead us to the patterns by highlighting the phrase, "the pattern" in each text section. Thank you! I love collecting the best patterns of all the wonderful designers online. 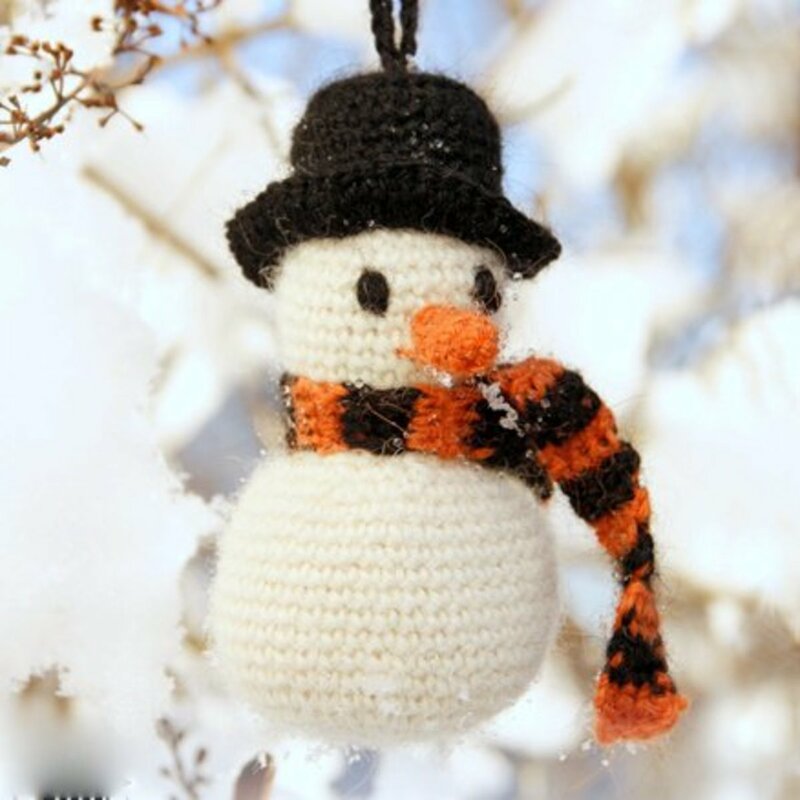 I hope you will have a great time creating these snowmen for your friends and family! Greetings, now that I,m looking to make some cute snow people I come across your wonderful patterns. I feel so lucky to have found these, can't thank you enough for sharing . Your talent is bringing much joy to so many of us. What a great idea! Have a happy Christmas!